Co-op survival shooter Earthfall has received its first major update. Inferno adds, appropriately enough, a variety of fire-based enemies, challenges, and skins. It’s the first of three free updates planned by developer Holospark. 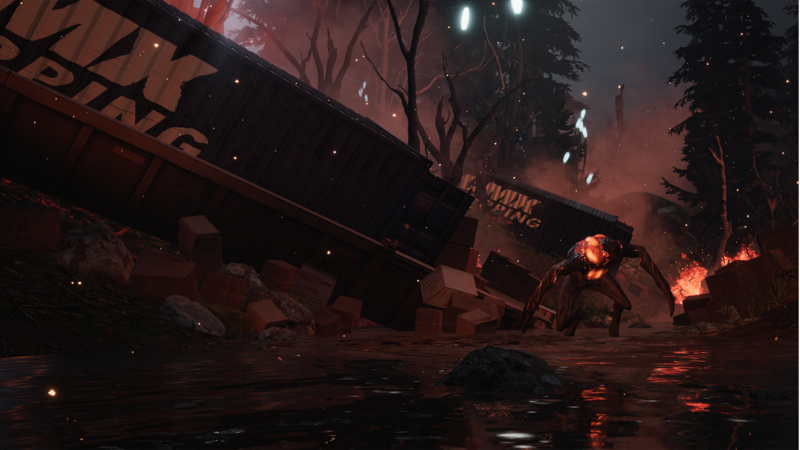 The big new addition to Earthfall is the all-new Inferno level. It brings two high-intensity enemies, the Fire Spitter and Fire Sapper, into the fray. They may seem fearsome, but you’ll have a new weapon in your arsenal to stop them. The P90 is a compact SMG that will surely strike terror in the hearts of those who oppose you. Fixed issue when in ADS the ‘x’ from the main reticle stays on the screen. While our thoughts on Earthfall were relatively mixed, it looks like Holospark is working to make the game bigger and better. The Inferno update is available now for the PlayStation 4, Xbox One, and PC. The next two updates will be Militia and Invasion.